December Newsletter! Discover Little Italy This Holiday Season! 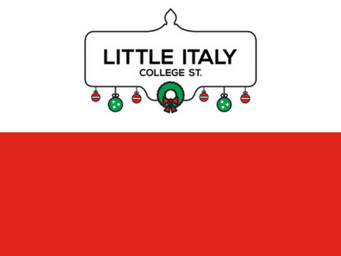 - Little Italy College St.
December Newsletter! Discover Little Italy This Holiday Season! Read our December Newsletter – Special Holiday Edition here. We’ve got you covered this holiday season with a gift guide and some of our fave pics for a night out, dinner and where to cozy up. Not yet subscribed to our mailing list? Subscribe here.